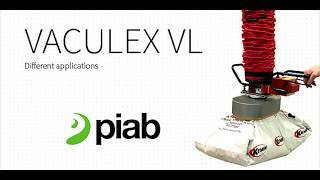 Piab's Vaculex® vacuum lifters can handle a huge variety of goods and it is also often possible to lift various objects at the same time. 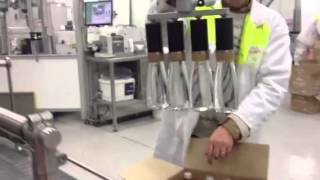 To ease the manual handling in your operation Piab develops ergonomic custom-made solutions. More than one third of all workplace injuries are caused by manual handling. 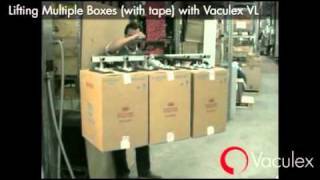 Piab's Vaculex® vacuum-lifting solutions are ergonomic, flexible and reduce the load on your body by more than 80%. Thus, minimizing strain injuries, back pain and sick leave, whilst increasing efficiency and user happiness. Offering ergonomic and safe working environments, the Vaculex® vacuum-operated lifters also allow for efficiency improvements, elevating the productivity of a plant by enabling a good flow in handling procedures, and guaranteeing high quality of products through damage limitation.